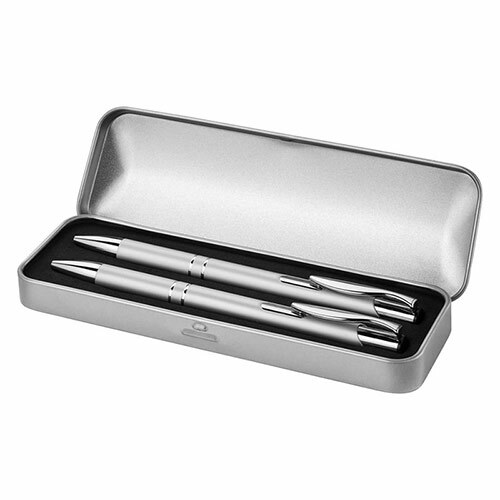 These 'Dublin' writing sets comprise a ballpoint pen and a mechanical pencil, both in silver colour finish, in a tin and aluminum presentation case. 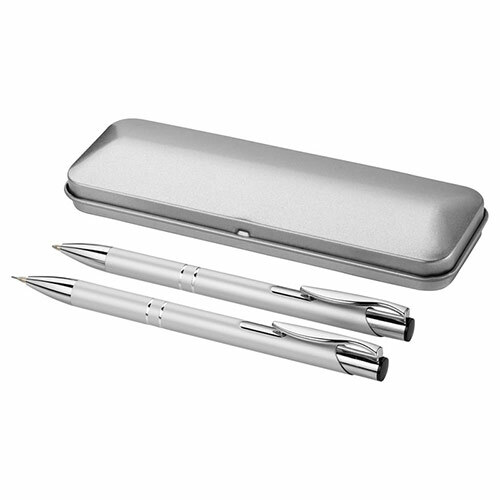 They can be branded via engraving on the lid of the case. 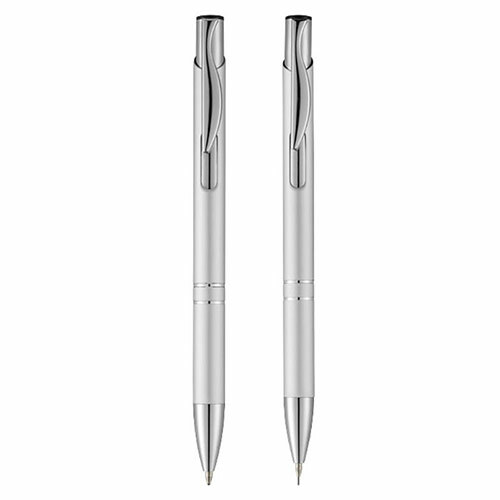 MOQ - Please note minimum order quantity for this writing set is 10 units. Case dimensions: 16cm x 1.5cm x 5cm. 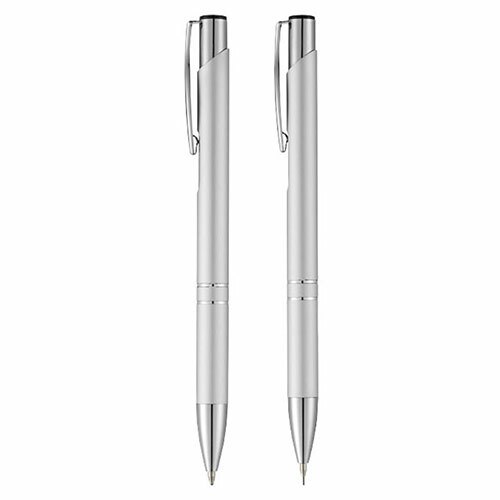 75g weight.